With regulations driving tighter calibration routines and the requirement for daily bump testing, there is a real need for test gas. Gas detectors play a key part for people and plant safety so equipment cannot afford to be out of service. The aim of the bump test is to make sure a gas monitor is working at its optimum by briefly exposing the unit to a known concentration of the target gas. The reading is compared to the actual quantity of gas present, as stated on the test gas cylinder, and if the detector goes into alarm within an acceptable range of the actual concentration, usually within 10%, then it is working safely. If the bump test results are not within the acceptable range, or it takes more than 30-40 seconds to alarm, the gas detector must not be used until a full calibration has been conducted. Gas detectors often operate in harsh environments: high and low temperatures and/or humidities; they may be exposed to contaminants, such as solvents, silicone etc; gas exposure; as well as the age of a sensor; any of which can result in the degree to which the detector responds to a given gas concentration changing, for example, the detector may read 46% LEL when the true level is 50% LEL. A calibration is a “resetting” of the detector’s response against a known concentration of target gas, in a balance of synthetic air or nitrogen. This will determine the relationship between the detector’s reading and the actual concentration of the component gas of interest. Adjustment involves modification of the detectors response to bring the reading into line with what is expected while exposing the instrument to the known source. Please see data sheets to learn more about the importance of calibration & bump testing. Please Note: we also supply a full range of regulators for use with the bump / calibration gas cylinders. 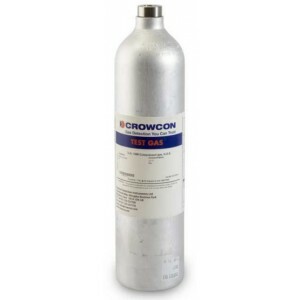 If you want to know more about the Crowcon products we stock & distribute or can’t find what you’re looking for please Contact Us, or give us a call on +44 (0)1254 207532 and a member of the team will be happy to assist. Bump Testing - What to Know the Basics? Calibration - Want to Know the Basics? Calibration - Why do we Calibrate?